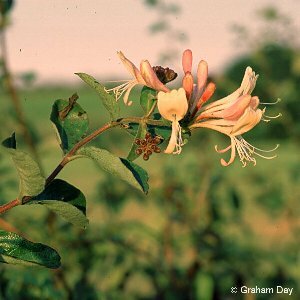 A familiar wayside flowering shrub or climber of hedgerows; also in woods and thickets. The flowers are strongly scented. 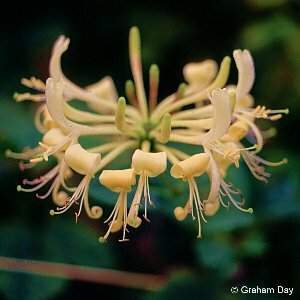 All names: Lonicera periclymenum L.